Mr. Myers discusses procedures, policies and schedules with the new ABC class. There were 22 incoming students who mixed with faculty and staff, along with more than a dozen former students from the Cincinnati area. Because the ABC program lasts only one academic year, it does not have upperclassmen to guide and mentor new students. However, several graduates live nearby—some even share housing with current students—and are able to fill that role. The welcome picnic began with a game of get-to-know-you bingo, followed by a delicious meal of chicken, vegetable or meatball kebabs with a side of flavorful rice. A round of novelty Olympic games provided another fun way to interact before the group set up desks and chairs for the orientation to the school year scheduled for the next day. The new class features students from India, Brazil, Mexico, Germany, the Philippines and, of course, the United States. The class is also diverse in age and experience, ranging from recent high school graduates through those with some prior college experience to a few with advanced academic degrees. On Monday morning the ABC orientation began. The class was introduced to the faculty, and procedures and policies were discussed. The class schedule was also reviewed. Victor Kubik gave a talk to the class before lunch. He covered the importance of ABC and the mission of ABC. Later there was a dessert social and a tour of the home office. Both of these events allowed for the students to meet the staff who work at the home office. At the end of the day Ken Shoemaker had a meeting with the class to discuss the ABC chorale and to see who was interested for the year. 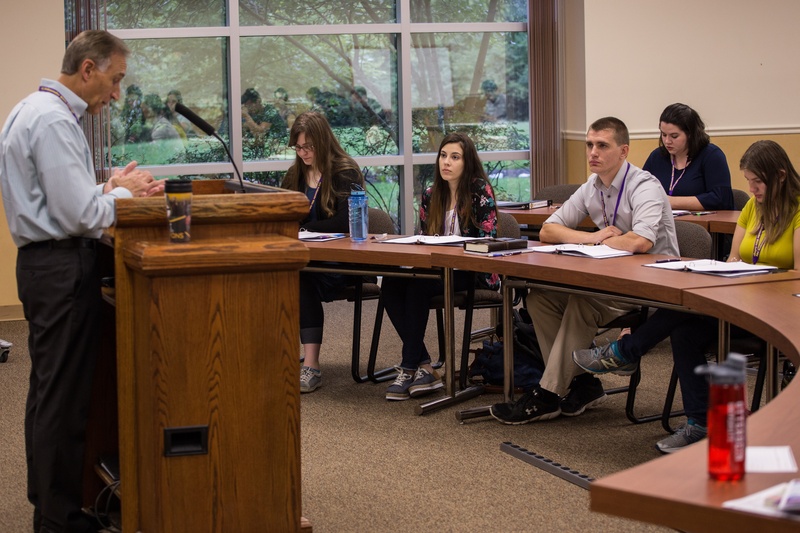 Overall, the ABC faculty members are eager to continue the tradition of passing on the truths of God’s Word to a new group of students. We’re excited to begin the school year. Frank Dunkle serves as a professor and Coordinator of Ambassador Bible College. He is active in the church’s teen summer camp program and contributed articles for UCG publications. Frank holds a BA from Ambassador College in Theology, an MA from the University of Texas at Tyler and a PhD from Texas A&M University in History. His wife Sue is a middle-school science teacher and they have one child.